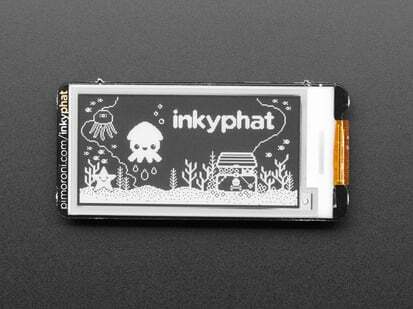 The 1.3" 168x144 SHARP Memory LCD display is a cross between an eInk (e-paper) display and an LCD. 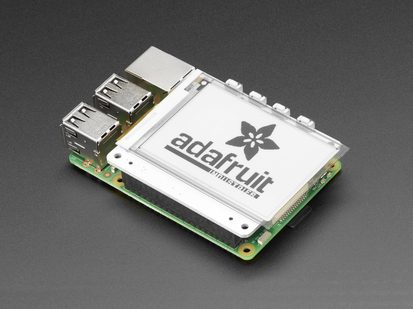 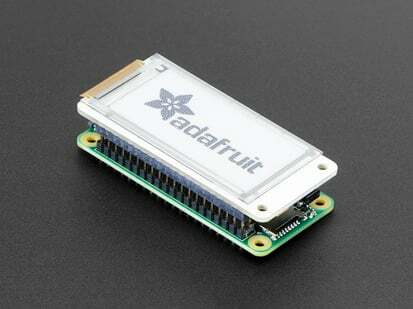 It has the ultra-low power usage of eInk and the fast-refresh rates of an LCD. 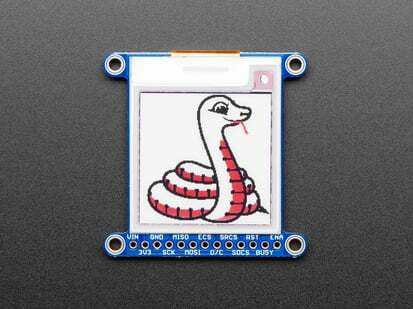 This model has a gray background, and pixels show up as black-on-gray for a nice e-reader type display. 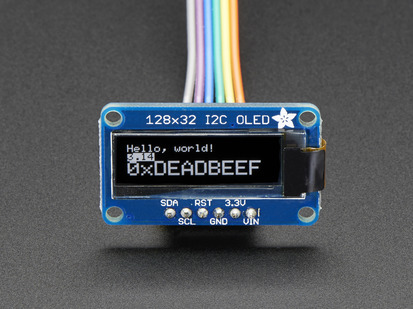 It does not have a backlight, but it is daylight readable. For dark/night reading you may need to illuminate the LCD area with external LEDs. 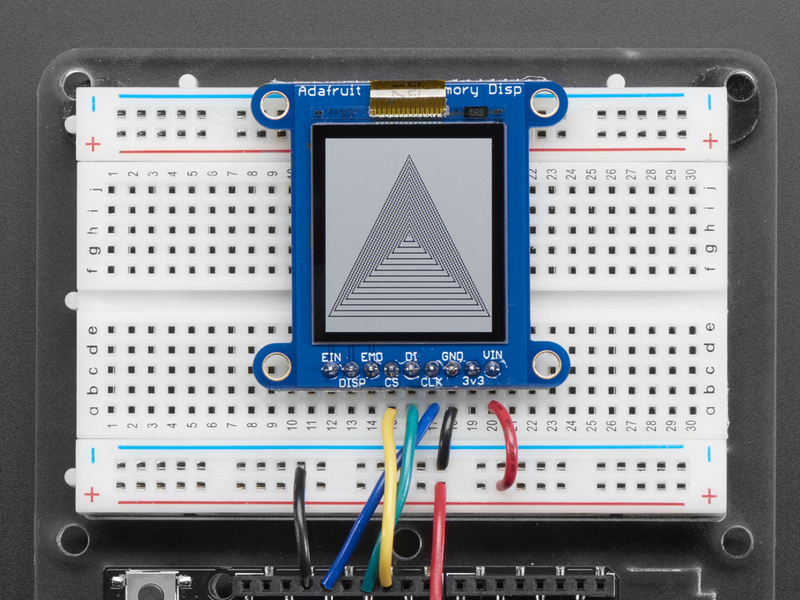 The bare display is 3V powered and 3V logic, so we placed it on a fully assembled & tested breakout board with a 3V regulator and level shifting circuitry. 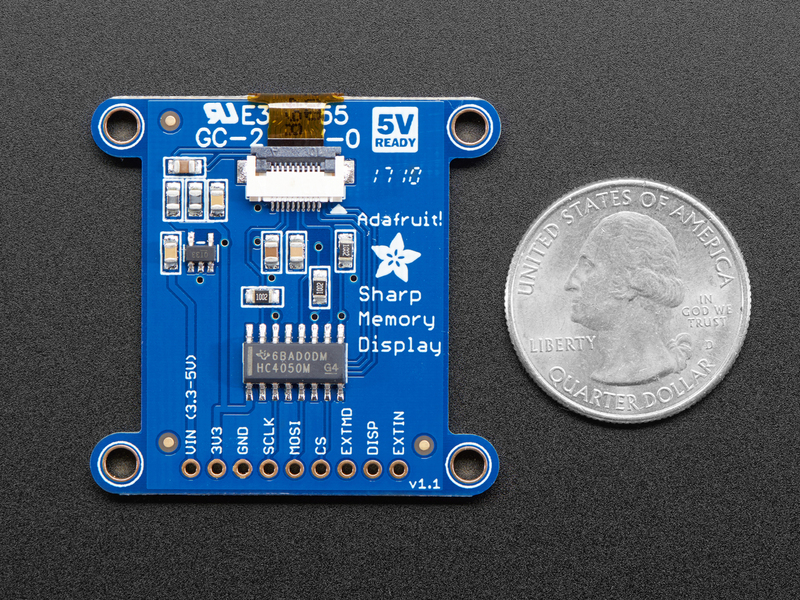 Now you can use it safely with 3 or 5V power and logic. 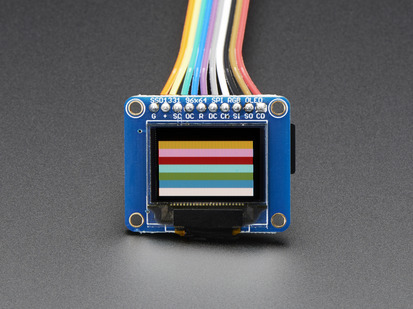 The bare display slots into a ZIF socket on board and we use a piece of double-sided tape to adhere it onto one side. 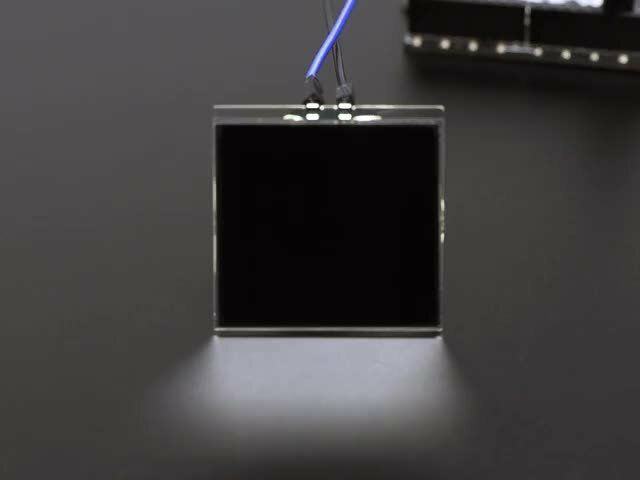 There are four mounting holes so you can easily attach it to a box. 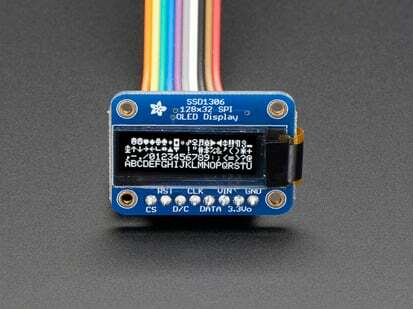 The display is 'write only' which means that it only needs 3 pins to send data. 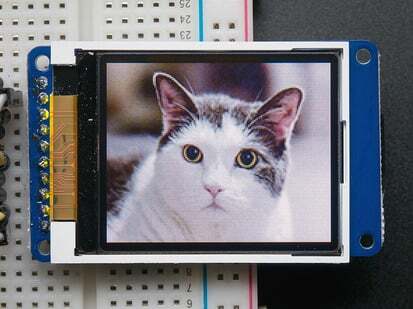 However, the downside of a write-only display is that the entire 168x144 bits (3 KB) must be buffered by the microcontroller driver. 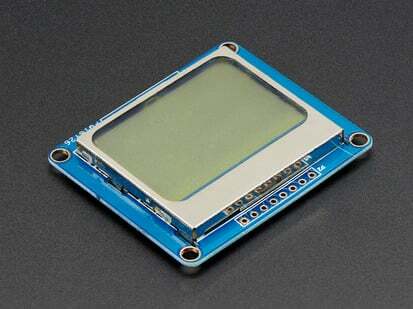 That means you cannot use this with an ATmega328 (e.g. 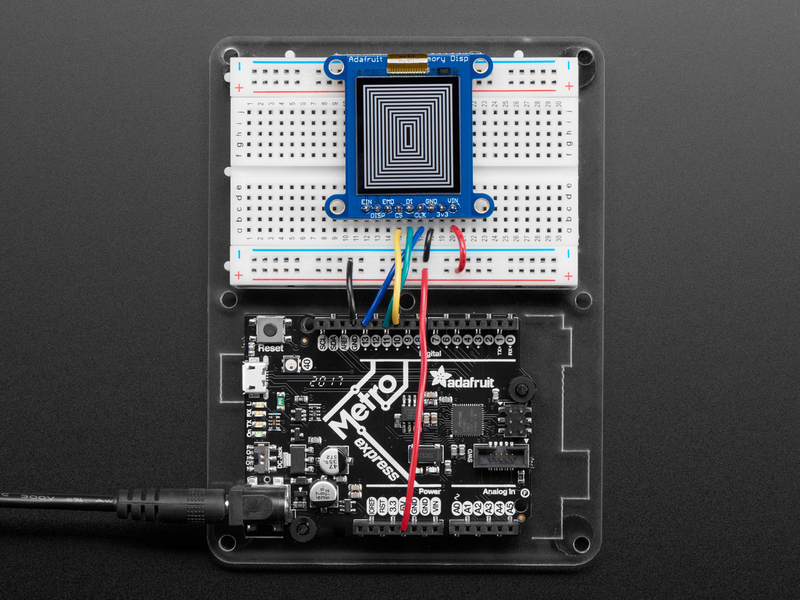 Arduino UNO) or ATmega32u4 (Feather 32u4, etc). 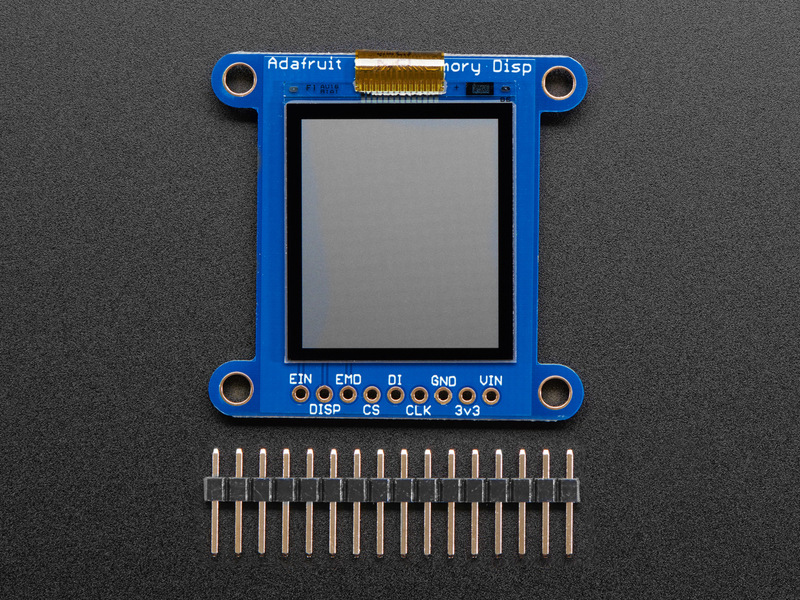 You must use a high-RAM chip such as ATSAMD21 (Feather M0), Teensy 3, ESP8266, ESP32, etc. On those chips, this display works great and looks wonderful. Check our our detailed guide for wiring diagrams, schematics, libraries, code, Fritzing objects, etc! 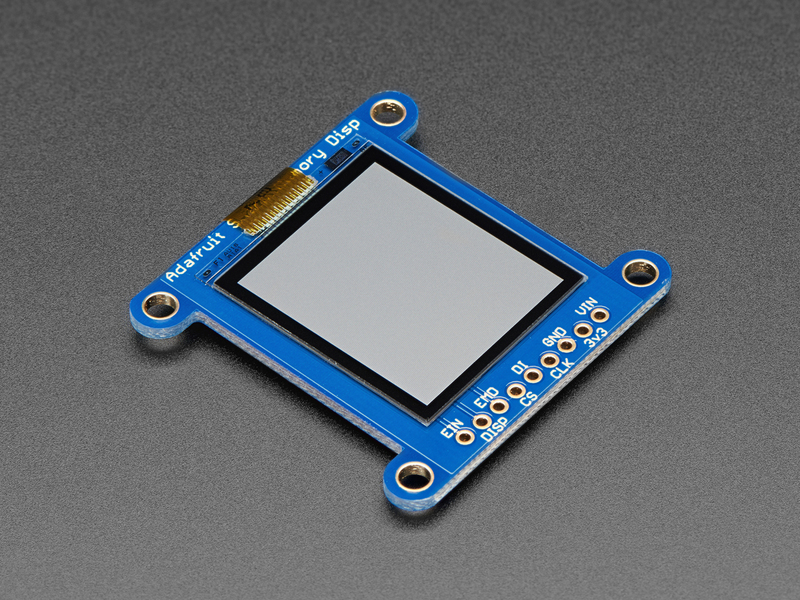 Dot pitch: 34mm x 33.3mm / 1.34" × 1.31"
PCB Dimensions: 40mm x 39mm x 4.6mm / 1.58" x 1.54" x 0.18"